After an excellent birthday bash at the Globe with Mano Le Tough and Butterside Up we hosting our first event at the Ktichen at the second time of asking. 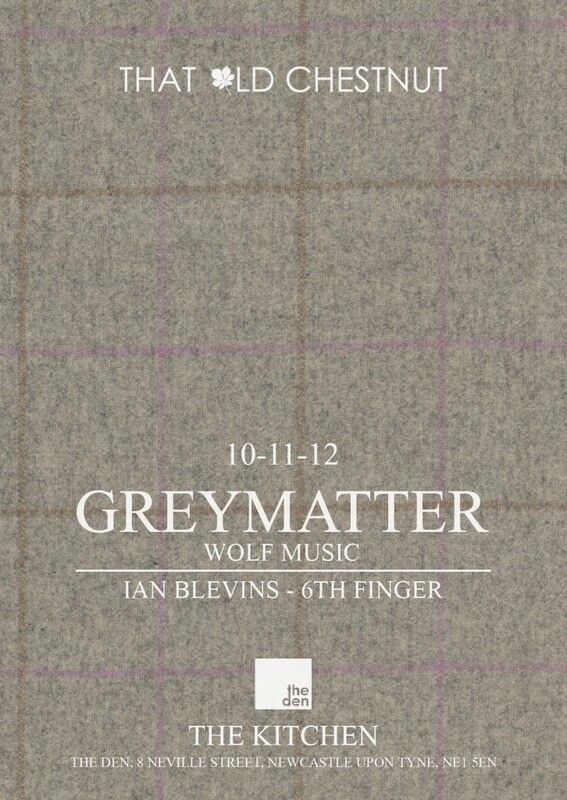 Travelling up we have Greymatter from the ever impressive Wolf Music stable who’s been on fire of late. Alongside ourselves we have asked Liam Vance, Kris Berry and ladys favourites RuDog Billionaire and BigL to hold down our cosy second room. For more details visit our facebook event. 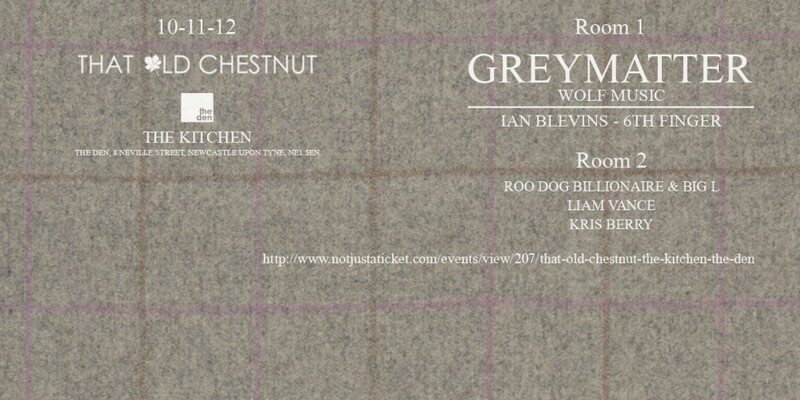 This entry was posted in Gigs and tagged 6th Finger, BigL, Greymatter, Ian Blevins, Kris Berry, Liam Vance, Newcastle, rave, Rudog Billionaire, That Old Chestnut, the den, The Kitchen, Wolf Music. Bookmark the permalink.